After years of speculation and angst from Weslaco residents in a region already fatigued by public corruption, the arrests of current and former elected officials within the last few weeks have all but confirmed the identities of those long-suspected to be involved in a bribery scheme tied to the construction and expansion of the city’s water treatment facilities. With the identities of six of the defendants revealed, here’s what’s known thus far according to court documents and previous reporting. Leonel Lopez Jr., the former Rio Grande City municipal judge, was accused of orchestrating a scheme to bribe two Weslaco city commissioners for their voting influence on contracts and subcontracts related to a $38 million overhaul project. In court documents unsealed within the last few weeks, the commissioners were revealed to be John Cuellar, who served as commissioner from the 1990s until 2014, when he was ousted from his District 2 post by current incumbent Greg Kerr; and Gerardo “Jerry” Tafolla, who has issued a resignation letter after close to 10 years holding the District 4 seat. Approximately $4 million in bribes were allegedly funneled to these city commissioners through Lopez, which originated from three still-unnamed companies. These companies wanted the contracts for the overhaul of the Weslaco water treatment facilities, according to unsealed indictments. 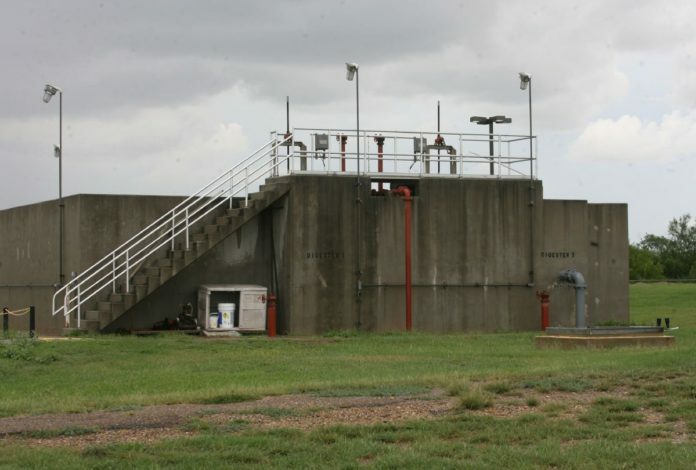 The need for such an overhaul was identified around 2004, when the Texas Commission on Environmental Quality notified the city that the water treatment facilities was in violation of environmental regulations for exceeding its capacity. In 2007, the city commissioners voted to issue approximately $28 million in municipal bonds that at least in part went toward the projects to overhaul the facilities. The city selected CDM Smith and Briones Consulting & Engineering, companies based in Massachusetts and San Antonio, respectively. They also proceeded to go through a construction manager-at-risk, or CMAR, process. Traditionally, a project is first designed before construction begins. But the less-commonly used CMAR process is unusual in that when about 30 percent of the design is completed, it is then handed over to the contractor who starts building the foundation, according to former Weslaco City Manager Leo Olivares. Olivares described the process as more collaborative because after building starts, the plans are still being finalized and subject to changes. Through the CMAR process, the project’s designer and engineer set a maximum price for it, then proposals are solicited from contractors without exceeding it. Because the facilities were already overcapacity, the city commissioners had declared the project an emergency, allowing the city to bypass the bidding process. CDM got the job they had designed. The result was a $38.5 million project that, according to an investigation published by The Monitor in 2013, was comparatively higher than other water treatment projects undertaken by neighboring cities. >> A business entity based in Corpus Christi, partly owned by former Hidalgo County Commissioners A.C. Cuellar, which is identified as Company D.
According to the superseding indictment unsealed this past week, the city commissioners hired Company A to act as the construction manager for the projects that were funded by the $28 million bond issuance. “Under the contract, Company A would effectively select the companies to perform the infrastructure work to be paid for with the bonds,” the indictment stated. Those bribes were allegedly funneled through Lopez, the former Rio Grande City municipal judge. He allegedly accepted about $4.1 million from the three companies that were paid to him disguised as consulting fees through Companies B and C. Those funds were then allegedly used to pay the two commissioners. Further complicating the scheme was that Lopez did not pay the commissioners directly. He allegedly enlisted the help of Ricardo Quintanilla, a Weslaco businessman, A.C. Cuellar Jr. and Daniel Garcia, a Rio Grande City-based attorney who happens to sit on the RGC school board. Lopez is accused of paying A.C. Cuellar about $1,398,000 in checks from March 2008 to November 2014. A.C. Cuellar then directed the employees of Company D, which he partly owns, to make payments to John Cuellar, then a city commissioner, that totaled $405,000 from April 2011 to November 2014. Through Garcia’s law firm, about $90,000 were allegedly funneled, specifically through an Interest on Lawyers Trust Account which is typically used by attorneys who handle money for their clients. To Quintanilla, Lopez allegedly wrote about $85,950 in checks drawn from his account at Lone Star National Bank. Quintanilla then allegedly cashed those checks and split the funds with Tafolla. In exchange for that money, Tafolla and John Cuellar are accused of taking specific actions to benefit Companies A, B and C.
The indictment alleges that John Cuellar, who also served at the time as mayor pro-tem on the commission, directed city officials to call special meetings for the commissioners to vote on decisions that benefited those companies. He allegedly wanted to call those meetings because special meetings are not publicized and recorded the same way that regular meetings are. “The short notice provided for special meetings prevented commissioners who would not vote with (John Cuellar) from attending,” the indictment stated. Then in 2016, Lopez, Quintanilla and other possible co-conspirators gave Tafolla questions to ask the other city officials. Asking those questions would somehow benefit Company B during a dispute between the company and the city over the Weslaco’s refusal to pay them. The indictment, however, does not clarify how those questions would benefit the company. In March 2016, the city sued Briones Consulting and Engineering alleging negligence, negligent representation, fraud and breach of fiduciary duties. The city specifically alleged that Briones failed to provide information proving that money the city paid actually went toward compensating Briones for the services the company was supposed to perform. In January 2018, the city and Briones reached a settlement agreement by which Briones paid the city $1.9 million. The companies that were allegedly part of the bribery scheme have yet to be publicly identified by federal prosecutors, including the specific individuals from those companies who are accused of being involved in the scheme: Person A, Person B and Person C. They are described in the indictment as an employee of Company A, and the owners of Companies B and C, respectively. Of those whose identities have been revealed as allegedly taking part in the scheme, Lopez and Tafolla pleaded guilty and were each released on a $30,000 unsecured bond. Both are scheduled to be sentenced in July. Quintanilla was arrested by federal authorities and pleaded not guilty. He was released on a $50,000 unsecured bond. Daniel Garcia, A.C. Cuellar and John Cuellar, who are cousins, were arrested and each released on a $75,000 unsecured bond. They are scheduled to be arraigned on Thursday.